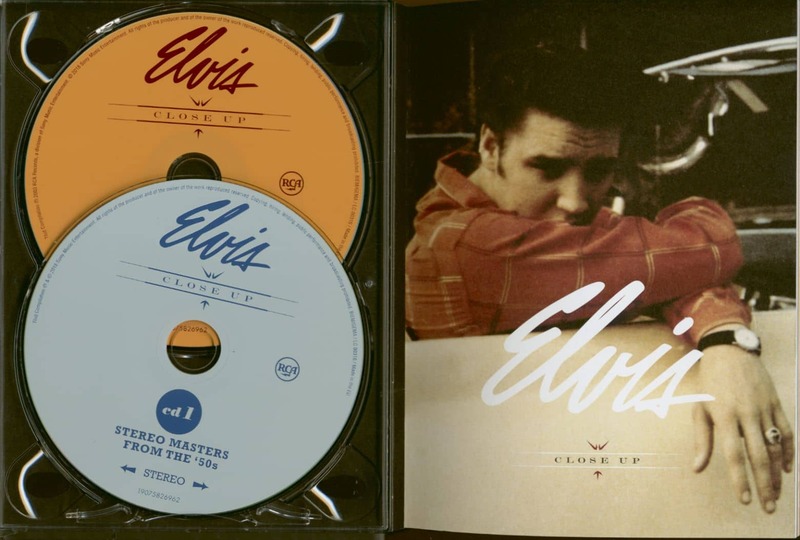 (RCA-Sony Music) 89 tracks - 14x19cm Hardcover Digibook (48 pages) - Small-size reissue of the long out of print set from 2003. 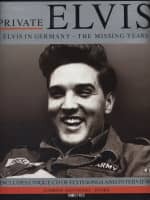 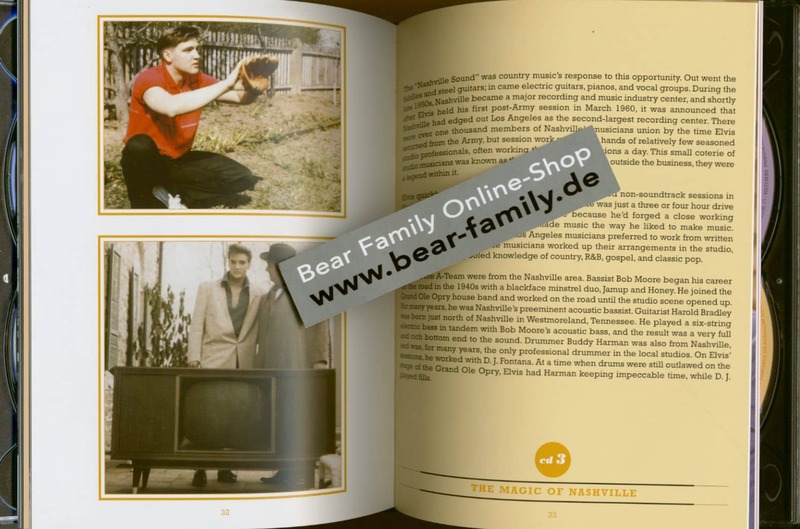 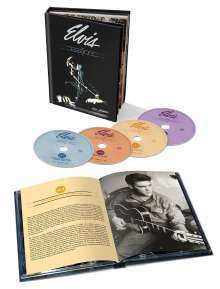 This box set features four important and key periods of Elvis Presley's incredible career. 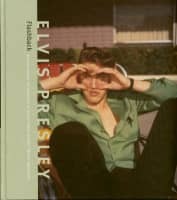 Fans will be delighted with this glimpse into Elvis' music-making techniques. 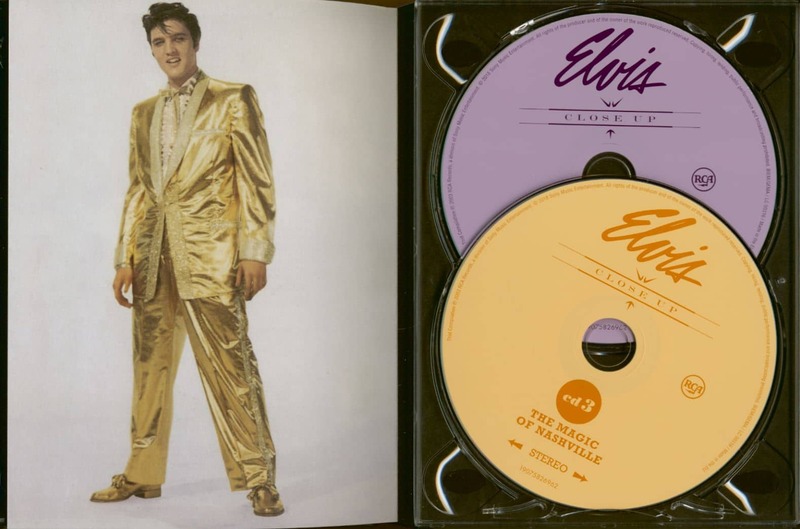 Here are 89 previously unreleased songs by the King of Rock 'N' Roll. 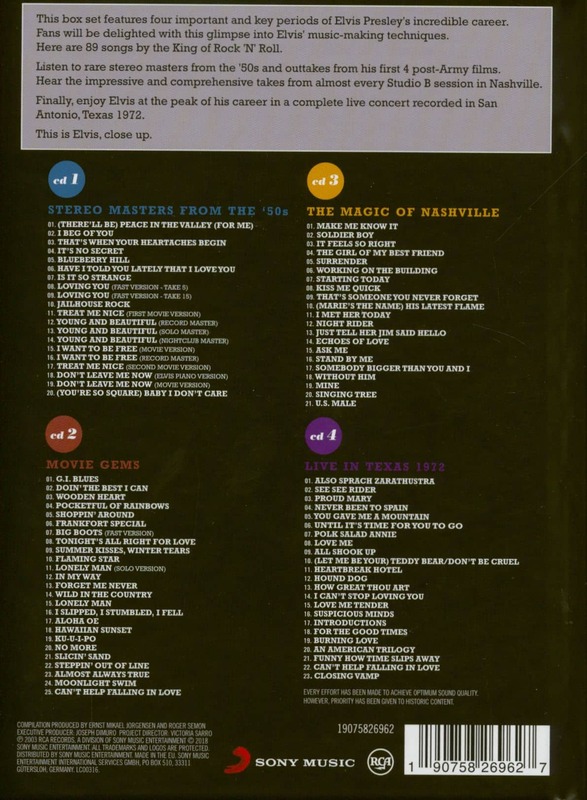 Listen to rare stereo masters from the '50s and never-before-heard outtakes from his first 4 post-Army films. 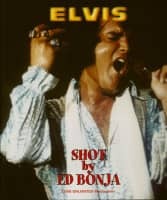 Hear the impressive and comprehensive unreleased takes from almost every Studio B session in Nashville.Finally, enjoy Elvis at the peak of his career in a complete unreleased live concert recorded in San Antonio, Texas 1972! 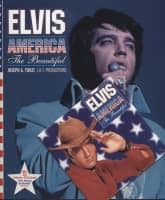 This is Elvis, close up! 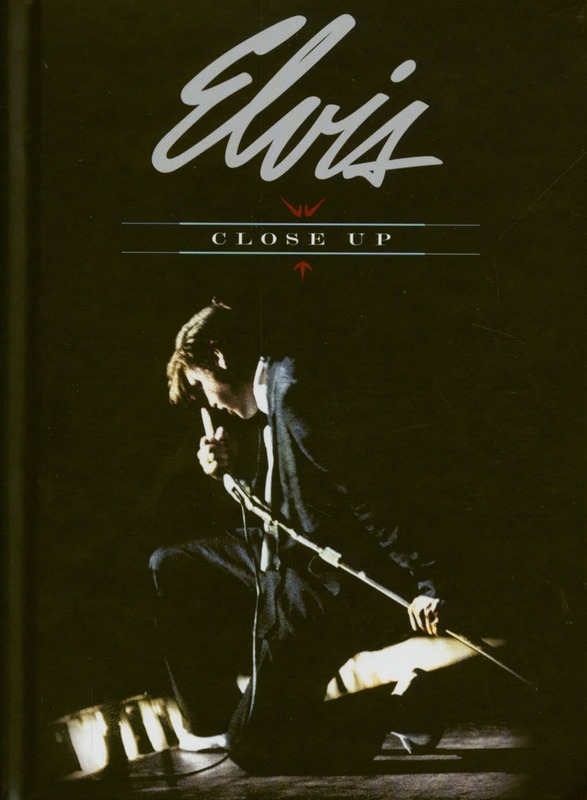 Customer evaluation for "Close Up (4-CD, Hardcover Digibook)"